As Lucie and I were exploring the causse in search of dolmens last weekend, we came to St. Chels, a small village that's about 6 kms from Cadrieu as the crow flies. It's close to double that distance following the winding roads we chose to take. 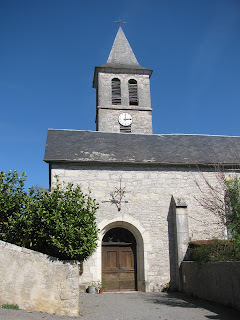 I parked the car behind this church, put Lucie on her leash, and we wandered back into the center of the village. I wanted to get a photo of a beautiful iron-filigree cross there and take a closer look at the directional signs posted at the intersection of three different roads. We spied the yellow la Poste camion delivering mail to the village. And who should the driver be but Pasquale, our very own Poste lady! She often sees Lucie and I walking thru Cadrieu when she delivers the mail there; she was more than a bit surprised to see us walking in St. Chels! We 'bonjour'd' and 'ca va'd' and then she asked....'Did you walk all the way up here?" I laughed and told her my car was behind the church. You just never know where you might find us on a beautiful day, out exploring the countryside! 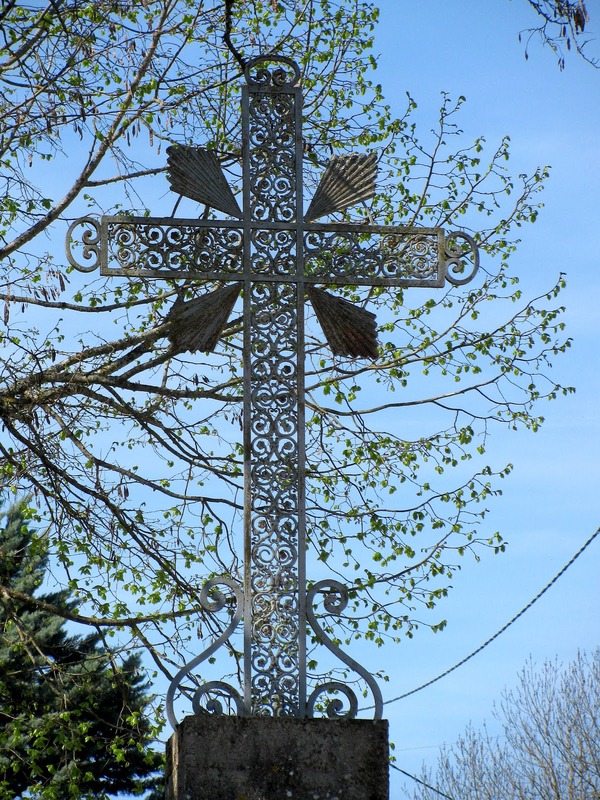 Lovely cross. Lucie must be one of the most cultured dogs in France!